Where Can I Watch The Super Bowl In Central America? Where are best places to watch the Super Bowl in Central America this weekend? We went onto the Facebook groups all over the region to ask the people who live there where they will watch it. I’ll start this with a confession. I don’t understand American football. Or, I guess I should say, football. I grew up in a country where we played real football, not football (or handegg). You know, that sport where people who call American football football call football soccer. Still with me? But even though I don’t understand the sport, I don’t dislike it even though it’s not my thing. I’ve lived in Costa Rica long enough to know most of my fellow native English-speakers are Americans and most of them love their game. At least the ones who hang out in gringo sports bars do. Plus a bunch of native English-speakers here work in the sports books, which is all about football. These guys live and breathe the game and over the years I guessed it’s rubbed off on me a little. Not much, but a little. Gringos love betting on their sports and in Costa Rica it’s easy to do. I know enough about football to know this weekend, for example, is the culmination of the 2018/19 season know as Super Bowl LIII. That’s Super Bowl 53, non-Roman numeral readers. 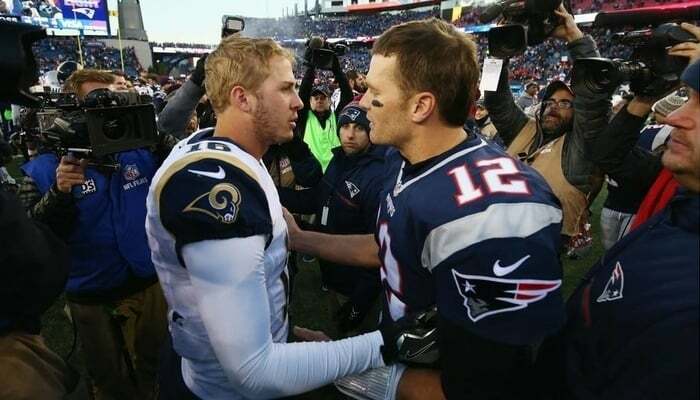 I know we have the LA Rams facing the New England Patriots in Atlanta and I know I’m kind of sick of Tom Brady. Actually, I’m sick of the Patriots altogether, if I’m honest. I’ll be cheering for the Rams because they’re not the Patriots and because I have many California connections. I also know Maroon Five will play at half time. Move like Jagger. Move like Jagger. Mu-mu-mu-mu-mu-mu-mu-mu move like Jagger. Ugh. Normally on Super Bowl Sunday I would stay in and watch Netflix. This year, though, I have a friend in town. He’s a mad, drunken viking from North Dakota who I know will want to go out and watch this thing. So that got me thinking. Where are the best places to watch the Super Bowl in Central America? I live in San Jose, Costa Rica, and so I know the best places here, and elsewhere around the country. And there’s a lot – I mean a lot – of gringos here so it’ll always be on somewhere. But what about the rest of the region? I asked on the Facebook expat groups to find out. I put the question to the good people of Panama who hang out in the Young Expats In Panama group. The first thing they told me was to check out Panama City’s Lazotea Rooftop Bar. It doesn’t seem like the sporty environment I’d want – you know, sweat, beers, yelling – but what do I know? A pool party followed by the game sounds pretty damn good to me. Elsewhere in Panama City, people mentioned the Red Lion Pub (there are three of them), the Londoner Pub, Lost Urban Beach Club, B-Dups, and the Backyard Brewery. Panama City is full of great places to watch the game and even if you don’t go to any of the above, you’re gonna find something. You even have Hooters and Bennigan’s. Side note: I have fond memories of the 2006 World Cup in Bennigan’s. Outside Panama City, I got a recommendation for Toro Loco in the Bocas del Toro. Perfect if you’re doing a visa run from Costa Rica this weekend! I didn’t need to ask in any Facebook group here because what I don’t know about bars in San Jose, Costa Rica, ain’t worth knowing. Only joking. We’ll start on the west side. I’ll recommend Chubbs or Tap House for this game. I’d lean ever-so-slightly towards Tap House because it’s a nicer locale and more open/breezy. But either will do if you’re in Escazu. Over in Santa Ana, it’s gotta be Porky’s. This place also has the best burgers in Costa Rica bar none. Heading east, in Sabana, there was once a sports bar called Mac’s that was great back in the day but went downhill and downhill until it closed last year. But if it was 2005, everyone would be there. But it isn’t. I wanted to kick the old place some respect is all. Nowadays in the Sabana/Rohrmoser area you’ll want to hit Republica for the game. Downtown San Jose you got the gringo gulch. There’s another Chubbs right there, near the Del Rey, on Parque Morazán. They’ll have the game on for sure. So will the Del Rey, but if you’re hanging out there, it’s prolly not for the football. Same goes for the Sportsman’s Lodge in Barrio Amon, although they put on a full Super Bowl spread. Champions in Mall San Pedro is hosting a Super Bowl party, but if I was over that way, I’d look around more intimate, boutique places in Escalante or California. There’s too many to name here but you’ll find something. Over at the beach, in Jaco, you’ll want to be at Oz Bar for the game, or Claritas for a more outdoor vibe. But again, most places will show this, so take your pick. Same in Tamarindo, Manuel Antonio, Coco, Puerto Viejo, wherever. It’s high season, it’s tourist central, and everyone who can show the game will show the game. Don’t sweat it if you’re at the beach. I used to know the bars of San Juan del Sur and Granada like the back of my hand. I remember past Super Bowls on the Calle Calzada in Granada where every bar had a big screen. Everyone was outside in some big street party where all the bars merged. Good times. But I haven’t been in Nicaragua for a while now, and so I reached out with my Super Bowl question to Expats in Nicaragua. Turns out some places are still open although I don’t expect the packed crowds of previous years. Quinn’s in Granada is where it’s at this year, while in San Juan del Sur there’s Republika, which was always my favorite hole-in-the-wall back in the day. Also check out La Cerveceria and Mango Rosa. And if you’re in Managua? The only recommendation I got there was Hooters. Do with that as you will. Honduras and El Salvador are like black holes when it comes to these expat Facebook groups. I guess there are far fewer expats in these countries because asking questions here is like pulling teeth. No-one replied to my El Salvador question, and only a handful of people in Honduras. Anyway, all I got from either of these two countries was Sundowner’s on Roatan and Bando Beach on Utila. Both Roatan and Utila are in the Bay Islands. Thanks for these, Aaron! A cursory glance on social media tells me the Clarion Hotel in Tegucigalpa, Honduras is having a party, but no one recommended it, so it kinda misses the point of this article. In contrast to Honduras and El Salvador, those football-loving expats in Guatemala came through for me. But then there are more of them and more tourists, too. And they’re not in the middle of a general election. I asked on the Antigua group because that is where most of the gringos are. If you’re a gringo in Antigua this weekend, you’ll have no problem watching this game. In fact, you’ll have more of a problem if you don’t want to watch it. El Barrio, Reilly’s, El Mono Loco, Bullseye, Central Park Pizzeria, and Selina Antigua are all in contention, with Reilly’s and Mono Loco seeming the most popular. If you’re looking for a more high-end Super Bowl-watching experience, my friend Fernando recommends the bar at Palacio de Doña Leonora. Another popular part of Guatemala for gringos is Lake Atitlan. If you’re in Panajachel, check out La Palapa. Over on the other side of the lake, in San Pedro, the Blue Parrot and Alegre Pub will work for you. And what about Guatemala City I hear you ask? Again, not much feedback about the capital outside of the gringo chains TGI Friday’s and Hooters. But there’s also Cadejo, Rattle and Hum, and El Establo if you want something better, which I would if I was in Guatemala City. Bless those Belize Expats! They also came through for me when I asked them. Like Antigua, this game will be on everywhere. Seems like the main consensus in San Pedro on Ambergris Caye is Carlo & Ernie’s Runway Bar. Everyone raves about this place but you’ll find the game on all over town. On Caye Caulker, they say the Barrier Reef Sports Bar is the place. In Hopkins go to the Lucky Lobster Bar. Meanwhile, down in Placencia our personal favorites the Tipsy Tuna and the Barefoot Beach Bar both have Super Bowl parties going on. Hmm, which one to choose? If you choose neither that’s cool. You can go to the Belize Ocean Club on Maya Beach where they’ll have a huge movie-sized screen set up for you. I still don’t know where – or even if – I will watch the Super Bowl. As mentioned already, I’m not exactly a fan and Sunday nights are never a good time to tie one on. But I hope this min-guide helps you wherever you are on the Isthmus, as long as you’re not in El Salvador or Honduras. Where do you think you’ll be watching the game? James Dyde is the editor of CentralAmerica.com. He lives in Escazu, Costa Rica.